Tom Brady's latest comeback bid fell short, and the Miami Dolphins helped their playoff chances with a breakthrough victory over AFC East leader New England. A fourth-down pass from Brady was intercepted by Dolphins newcomer Michael Thomas in the end zone with 2 seconds left, giving them a 24-20 victory Sunday. The Patriots had mounted second-half rallies to win their past three games, and Brady moved them from their own 20 with 1:15 remaining to the Miami 14. 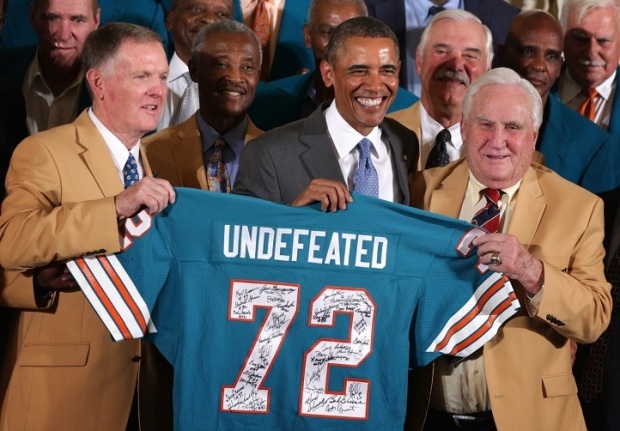 But he threw three consecutive incompletions before Thomas, playing his first NFL game, sealed the third consecutive victory for the Dolphins (8-6), who are 5-2 since tackle Jonathan Martin left the team in a bullying scandal. Miami snapped a streak of seven consecutive losses to the Patriots (10-4), who missed a chance to clinch their fifth consecutive AFC East title. Working against the Dolphins' injury-depleted secondary, Brady threw 13 times in the Patriots' final drive, including a fourth-and-8 completion in New England territory. But the Patriots used their final timeout with 27 seconds left, and after two passes into the end zone fell incomplete, Brady's throw for Austin Collie was intercepted by Thomas. The reserve safety joined the Dolphins on Tuesday when he was signed off the San Francisco 49ers' practice squad, and he was pressed into duty because of injuries. Ryan Tannehill shook off four sacks to throw for 312 yards and three touchdown passes, including a 14-yarder to Marcus Thigpen with 1:15 left that provided the winning margin. His other scoring passes covered 39 yards to Mike Wallace and 2 yards to Daniel Thomas. Brady went 34 for 55 for 364 yards and two scores, overcoming the loss last week of tight end Rob Gronkowski to a season-ending knee injury. Julian Edelman made 13 catches for 139 yards, and Danny Amendola added 10 receptions for 131 yards. New England took a 20-17 lead when Edelman scored on a 24-yard reception with four minutes left. The Dolphins caught a break when the ensuing kickoff went out of bounds, allowing them to start at their 40. Charles Clay kept the driving going when he turned a short pass into a 6-yard gain on fourth and 5 at midfield, and Thigpen scored five plays later. New England, accustomed to slow starts, took a 10-0 lead when Michael Hoomanawanui made a one-handed 13-yard touchdown reception. But squandered scoring chances hurt the Patriots. They mounted drives of 16 and 15 plays but settled for a field goal each time, and Stephen Gostkowski misfired on a field-goal try for only the third time this year when he sailed a 48-yard attempt wide left. 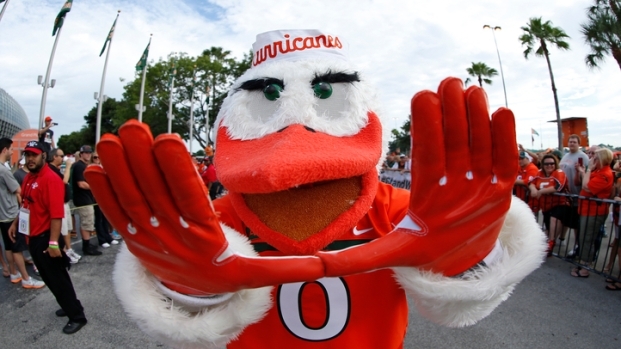 Miami took a 17-10 lead with a bit of trickery on the first play of the fourth quarter. Tannehill faked a handoff to Thomas, faked another handoff to Wallace on an end-around and then threw to Thomas for a 2-yard score. Miami moved 82 yards in the final two minutes of the opening half for its first score, which came on Wallace's 39-yard reception. He beat cornerback Marquice Cole, who had just come in the game to replace an injured Kyle Arrington. The Patriots mounted a 16-play drive on their opening possession. When Miami rushed seven on third-and-goal, Brady threw incomplete, and New England settled for a field goal. Derrick Shelby's pressure forced another third-down incompletion by Brady midway through the fourth quarter, and again the Patriots kicked a field goal.